Markings: "The Youth of Sherlock Holmes" - John Barrymore. Part 2 of Silent Sherlocks in The Strand. An occasional thought-diary with thanks to Dag Hammarskjold for his own inspiring "Markings"
"The Youth of Sherlock Holmes" - John Barrymore. Part 2 of Silent Sherlocks in The Strand. 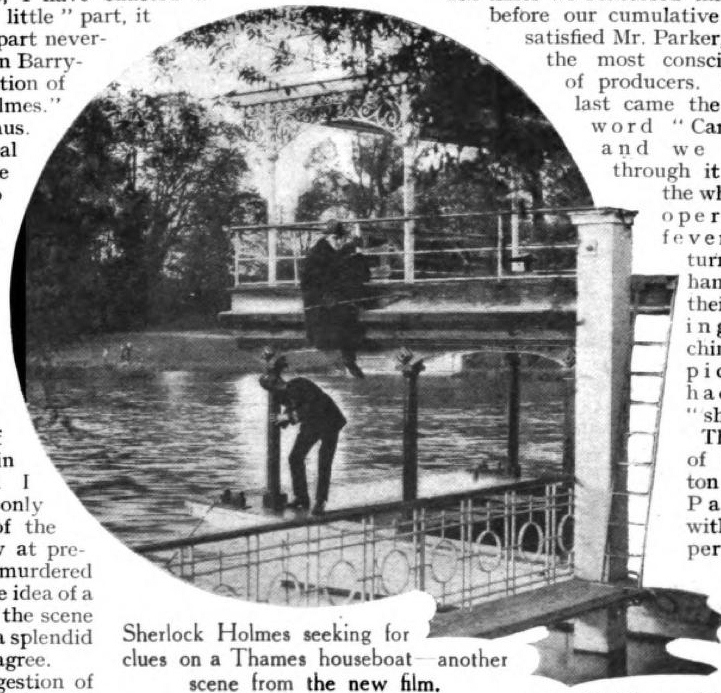 In June, 1922, almost a year after Eille Norwood's interview detailed in my companion post HERE , The Strand carried an article by American journalist, Hayden Church, who spent a day on location at Hampton Court with John Barrymore. 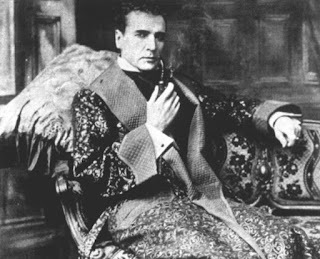 The famous actor was in England with his producers and crew "for the purpose of getting the correct settings and the real atmosphere for certain exterior scenes in our film version of 'Sherlock Holmes'...The other scenes will be built in New York where the remainder of the film will be produced." For Barrymore, this extended a Continental vacation 'climbing Mont Blanc and doing a few other little holiday stunts'. (Church tactfully refrains from mentioning just how much alcohol was consumed and later prohibited back in New York). Norwood's Holmes was based on Conan Doyle's stories, while the Barrymore film took as its starting point William Gillette's popular stage play. Nicholas Rowe was 19 when he played Young Sherlock Holmes in the 1985 film. 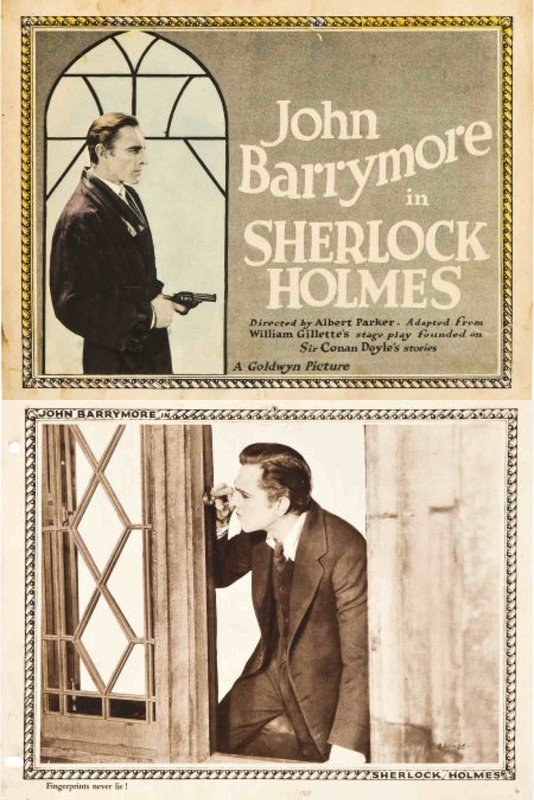 John Barrymore was 40 in 1922, about the age of Jonny Lee Miller, who is 4 years older than Benedict Cumberbatch. 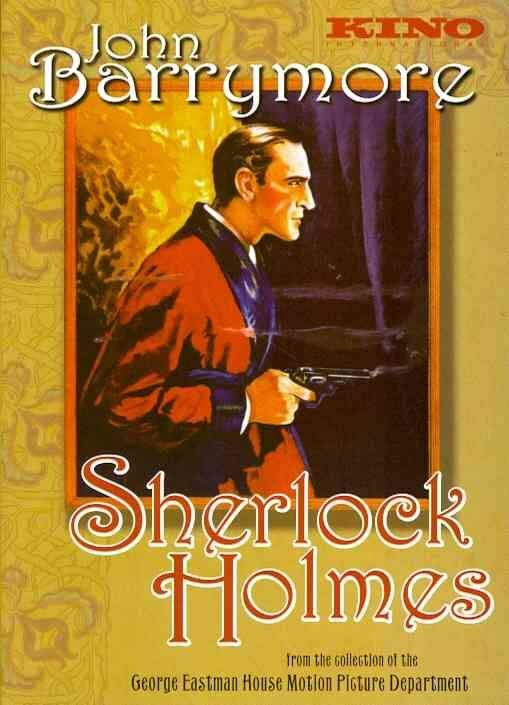 This clip of the opening scene makes for fascinating comparison with these modern Sherlocks. Of special cinematic & historic interest is the detail given in Church's article of exact exterior locations used in the film. Apart from St. John's College, Cambridge, they filmed in Stepney, at Lambeth Pier, Scotland Yard, Trafalgar Square...and two very carefully chosen places. Finding both Baker Street and Gower Street too modern or too busy, the film's 221b. is in fact in Torrington Square, where real (former) policemen appeared as extras in the Gillette scene where Moriarty draws off the police through a street disturbance to gain entry to Holmes's rooms. The recent strike had left many policemen jobless and they were obtained as willing extras from the Vigilance Society. Several shots were taken at Hampton Court, most importantly those on a Thames houseboat. Barrymore thought this a novel setting and one that would entrance the American audience. Fortunately Barrymore's film survives (having I believe been lost for decades). It is available on dvd but not in full on Youtube. 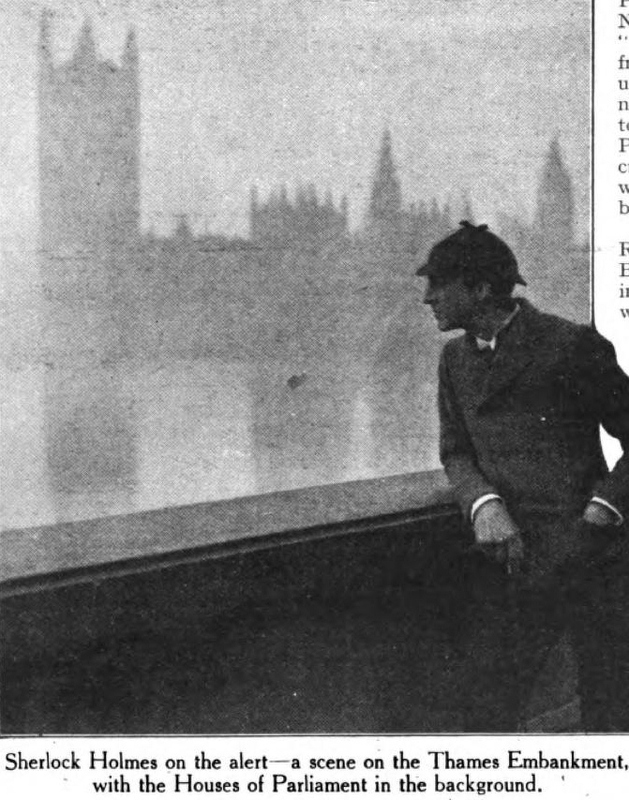 I leave the reader with another taste of this 1922 silent Sherlock - Holmes meets Moriarty. To read the whole original article in The Strand Magazine in pdf, please click this link CHURCH . "Altamont" is, of course, the alias Sherlock Holmes assumes working under cover for two years until finally closing the net on Germany's top agent in Britain,Von Bork, in 'HIS LAST BOW'.